I am thrilled to be a guest designer over at A Vintage Journey for Challenge #25 Tic-Tac-Toe, please check out all the wonderful inspiration the design team has shared for this challenge. Special thanks to Annie for coming up with the “fun & games” and the rest of the team at A Vintage Journey for (as always) making this experience so much fun. 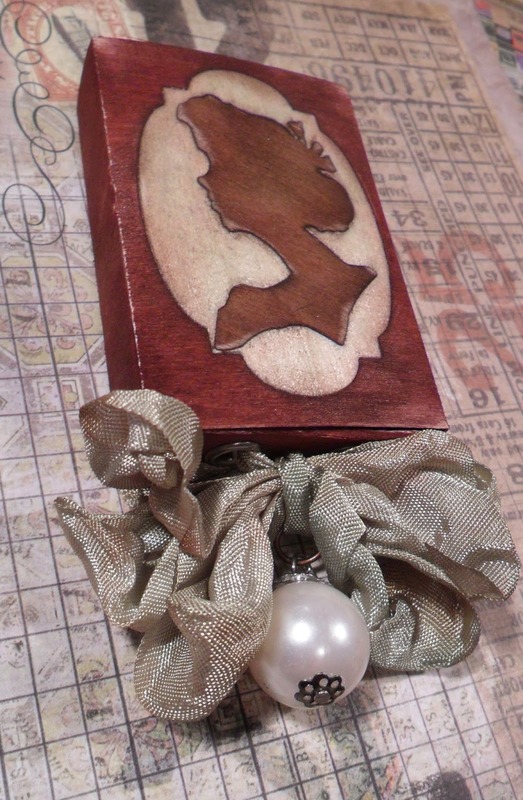 For the challenge my “winning” line was the right-hand column: Ribbon/Twine, Die Cuts & Stains. 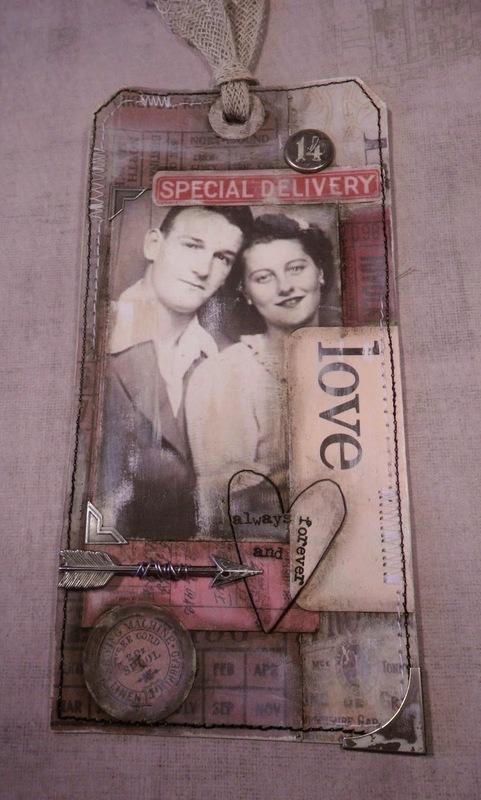 These elements fit perfectly with a faux wood inlay technique I love to use on cards. This process works well with all kinds of dies including thinlits, you could just as easily use paper, but there is nothing quite like the look and feel of real wood and it stains up so beautifully with Tim’s Distress line.